Hawkey Cleaning & Support Services are very proud of the work we do for Comic Relief at their Head Office in London. Leading contract cleaning Services provider, Hawkey, is very proud to be entering into their fifth year of service at the Head Offices of the charity, Comic Relief. Comic Relief is a major charity based in the UK, with a vision of a just world, free from poverty. They work tirelessly all year round to help make their vision a reality. And in the years since they started out in 1985, with the support of some remarkable people, they have achieved amazing things and raised over £950 million. 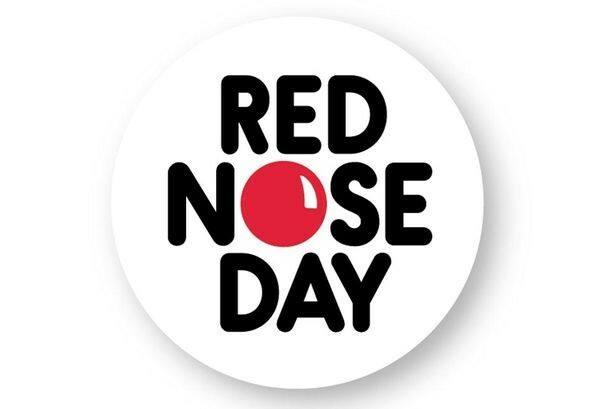 Here at Hawkey, we are looking forward to a busy time leading up to Red Nose day which will take place on Friday 13th March this year. 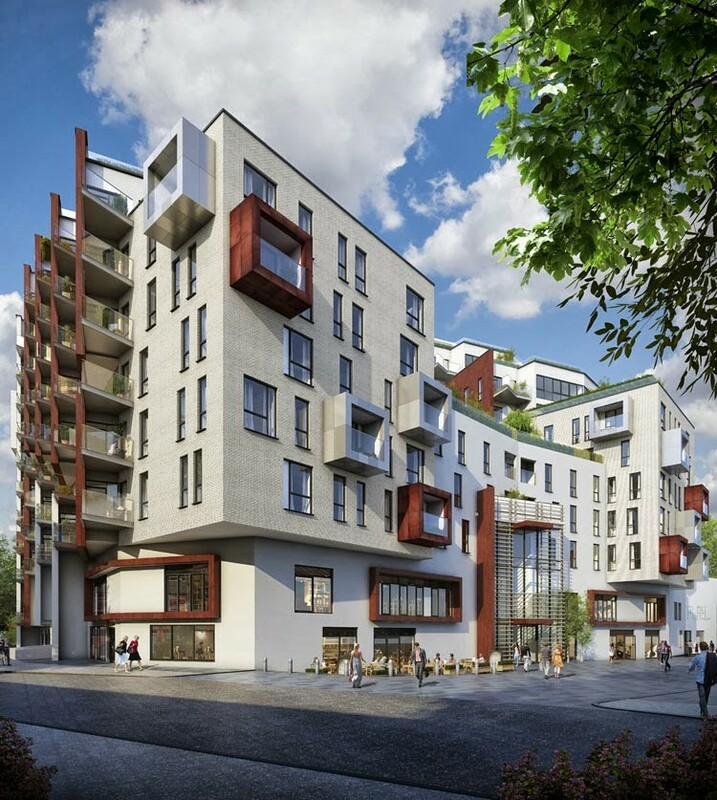 Prime Place is a luxury development of one, two and three bedroom apartments set on a pedestrian-friendly boulevard and is part of a vibrant mixed-use scheme. As well as the luxurious accommodation that Prime Place affords, the scheme offers an on-site health and fitness club, business centre and hotel and restaurant, student village, nursery and even an innovative bicycle cafe and repair shop. Not to mention, a sustainable energy centre. From January 1st 2015, new waste regulations come into effect that will require UK businesses to separate recyclable material (paper, plastic, metal and glass) from other waste. This amendment to the EU Waste Framework Directive is to improve the quantity and quality of recycling across the UK. As a valued partner of Hawkey Office Cleaning, we wanted to make sure you are aware of the changes and how they might affect you. It means that businesses should ensure their recyclable waste (paper, plastic, metal and glass) is collected separately from their other waste, such as food. To comply with the regulations, you should use a Mixed Recycling service for your dry recyclables (paper, plastic, metal and glass), and a General Waste service for anything else. No, European Commission Guidance states "considering that the aim of separate collection is high quality recycling, the introduction of a separate collection system is not necessary if the aim of high quality recycling can be achieved just as well with a form of co-mingled collection." High quality recycling can be achieved through Hawkey Office Cleaning Mixed Recycling collections; we use a modern facility that separates material to a high standard and we encourage our customers to tour it at any time. Source-separated recycling is only advised if it is Technically, Environmentally and Economically Practicable (TEEP). It is not technically practicable due to site constraints, congested streets, and a requirement for daily collections in London. It is not environmentally practicable due to increased CO2 emissions as more vehicles are required. By collecting several materials at the same time, we reduce the number of collection vehicles needed and therefore collections will have a lower environmental and economic impact. Following the disappointment of Oulton Park, the AmDTuning.com team will hope to bounce back into the points when the Dunlop MSA British Touring Car Championship heads to Croft this weekend for the final event prior to the summer break. The West Thurrock-based team was forced to withdraw from race day at Oulton Park earlier this month after an accident in the second race of the weekend left its Ford Focus nursing heavy front-end damage that couldn’t be repaired at the circuit. With the car fully repaired, Inverness-based racer Dave Newsham will now hope to challenge for three strong finishes during the fifth meeting of the campaign as he seeks to put the misfortune suffered in recent events firmly behind him. “I’m looking forward to Croft as it’s one of my favourite circuits on the calendar,” he said. “It’s quite hard on tyres but one of the strengths of our car is that it is good on its tyres, so that could help us on race day. “Hopefully the weather will be dry so we can work on our qualifying pace, but Croft is a circuit where it is possible to pass and to work your way forwards through the field." Croft will also see Dave reach a personal landmark in his BTCC career, with this weekend seeing him take part in his 100th race since moving into the series in 2011. Given the work that was required to repair the Focus following Oulton Park, the team heads for Croft having taken the opportunity to bring forward planned upgrades to the Focus, which it had been due to undertake during the summer break. The changes will see the car sporting a revised front end, and mean the AmD Focus is now running in the same specification as the cars being used by fellow Ford squad Airwaves Racing. “We decided not to fit the 2014 upgrades at the start of the year as we wanted to see what impact they had,” team boss Shaun Hollamby explained. “Our plan was to update the car during the summer break, but following the accident at Oulton Park, it made sense to do it now and debut the revised front end at Croft. It’ll be interesting to see what impact the update has, as we’ll now be able to measure ourselves more directly with the guys at Motorbase. 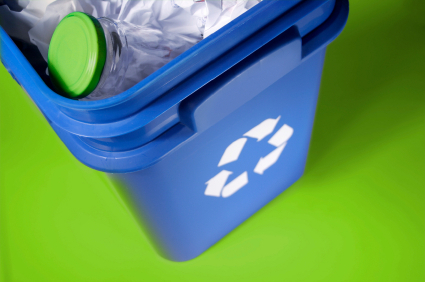 If you are not currently recycling, you may need to begin doing so to ensure your business is compliant. We will be in touch in good time to explain what you need to do. The easiest way is to set up a Mixed Recycling service alongside the General Waste or Food Recycling service we already provide you. Mixed Recycling services are lower cost than General Waste so this will also reduce your costs. Hawkey Cleaning & Support Services, a leading supplier of contract cleaning services, is proud to announce becoming an official sponsor of the AmD Performance prepared Ford Focus in the 2014 British Touring Car Championship. Spanning 30 rounds over a seven month race season, the British Touring Car Championship is an exciting, action packed race series, with extensive TV coverage reaching in excess of 20 million people in the UK alone. Capitalising on the popularity of the sport and its global audience with multi-channel coverage, the sponsorship is set to widen the awareness of our brand. Hawkey Cleaning & Support Services are pleased to announce that they are servicing the offices of the world’s largest collector car auction house, RM Auctions. From its inception, RM’s auction division has experienced consistent and impressive growth, establishing an enviable roster of collector car auction events in a variety of prestigious settings around the globe. Such notable auctions span the United States and include Monterey, California; Hershey, Pennsylvania; Phoenix, Arizona; Plymouth, Michigan; and Amelia Island, Florida, where RM partners with the world-famous Amelia Island Concours d’Elegance. In 2007, RM expanded into Europe, hosting record-breaking auctions in Maranello, Italy and London, England. As part of the company’s continued European expansion, RM introduced a new sale in Monaco in May 2010, held during the same weekend as the Historic Grand Prix of Monaco, and in 2011, the company hosted its debut sale at the Concorso d’Eleganza Villa d’Este on the shores of Lake Como in Cernobbio, Italy. As a testament to the exclusivity of each event, the Monaco and Cernobbio sales are held on an alternating basis every other year. Hawkey are very proud to announce that we have retained our contract with Shaftesbury PLC. Shaftesbury PLC have recently moved into large, state of the art new offices in Ganton Street, in the Carnaby Street Estate. This is fantastic news and testament to the hard work and dedication of our cleaners. We have held this cleaning contract since 1996. We are now entering into our 18th year of service!. Hawkey would like to thank both our colleagues at Shaftesbury PLC and our team for the hard work, trust and faith in our partnership. We are very pleased to announce that our specialist Abseiling Office Cleaning Team will be carrying out the external cleaning of Ontario Point, starting this month. The shimmering tower rises 25 storeys above the London skyline with impressive panoramic views across to Docklands. Should be an impressive view from up there! 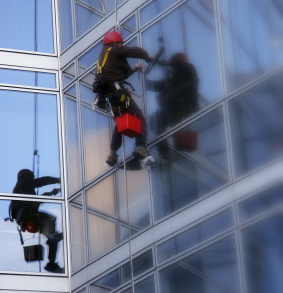 For more information on the wide range of cleaning services we provide, even abseiling down the side of city office blocks, give us a call today and we will be glad to offer you a quotation! We are very pleased to announce that Hawkey Office Cleaning London has successfully attained status as a ‘Scheme Accredited Elogbooks Service Provider’. Elogbooks Accreditation is a recognised mark of quality required by our industry leading clients when sourcing service providers. It tells clients that not only is your business capable of demonstrating Quality at tender stage, but that you maintain this level of quality at ALL times throughout the course of your working relationships with clients. Hawkey are pleased to announce the award of MSi Mobility’s cleaning contract in Fenchurch Street, London today. MSI is the leading provider of global talent mobility solutions to corporations worldwide. Through the alignment of talent management and global mobility strategies, they help organizations optimize the investment made in human capital while achieving their strategic business objectives. We always like to celebrate when we win new office cleaning contracts in London. Sometimes we even crack open a bottle of champagne! 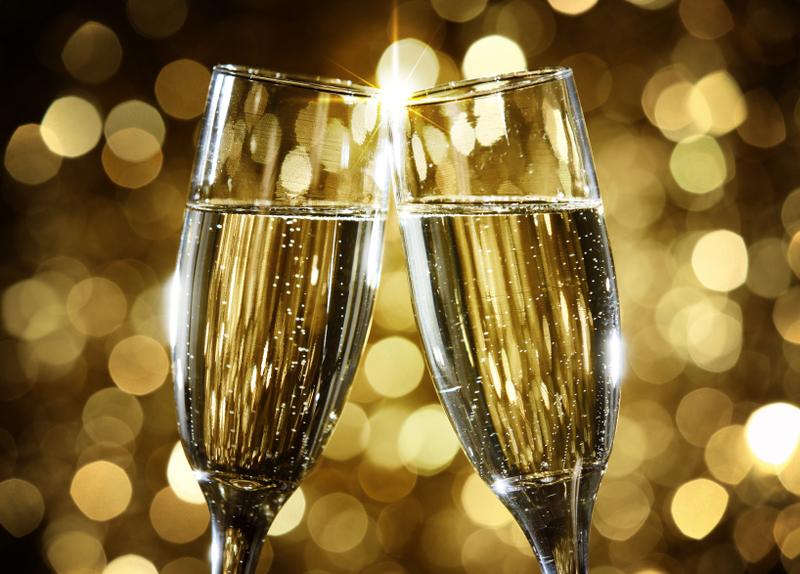 Well, it seems quite ironic that we have actually been awarded the contract for cleaning Lanson Champagne’s offices in Mayfair, London. The contract involves, office cleaning services, window cleaning, janitorial supplies and laundry services as well as cleaning their corporate client apartment. The House of Lanson has been developing its wines in the original style of Champagne since 1760! As well as our Facebook page, we are pleased to announce the creation of our new Google+ page. We aim to provide useful information about the company on the Google page as well as a place for our valued customers to create reviews about us and the service we provide. Many people find it hard to keep a clean and tidy office. With lots of people working in the office every day, and many feet walking in and out of the office building, dirt can build up quite quickly. Office cleaning london It is important to keep the office clean and tidy for a number of reasons, including basic hygiene, and a healthy safe environment. People can perform much better in an office which is clean and well kept, than they would in a cluttered and dirty workplace. A clean fresh atmosphere promotes a good work potential among employees. However, keeping this area clean is not an easy job. There are a large number of jobs to be done including vacuuming, cleaning the bathrooms, cleaning the windows, dusting, polishing, and many other jobs. Each job is equally important, but it is hard to ensure that each is dealt with properly and efficiently. Given the amount of activity that happens daily in an office, it is necessary to clean it regularly to ensure your clients, regular visitors and of course, your employees, enjoy the space and perceive you as a winner. 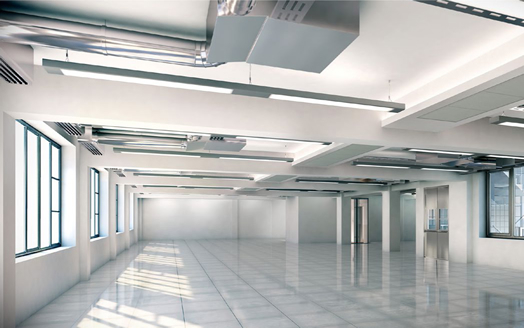 London cleaning services A dirty and messy office not only scares clients away, but will directly and drastically affect productivity, while it can even cause disease to proliferate. On the other hand, a clean office welcomes people and makes them feel good, while your people will be able to work more efficiently and happily. As you can see, cleaning an office is a serious activity and one that demands a professional, to ensure it is done correctly and fast, without disturbing your business activities. Hiring an office cleaning service is a necessity, and you must take the time to make sure you are hiring the best one for the job.